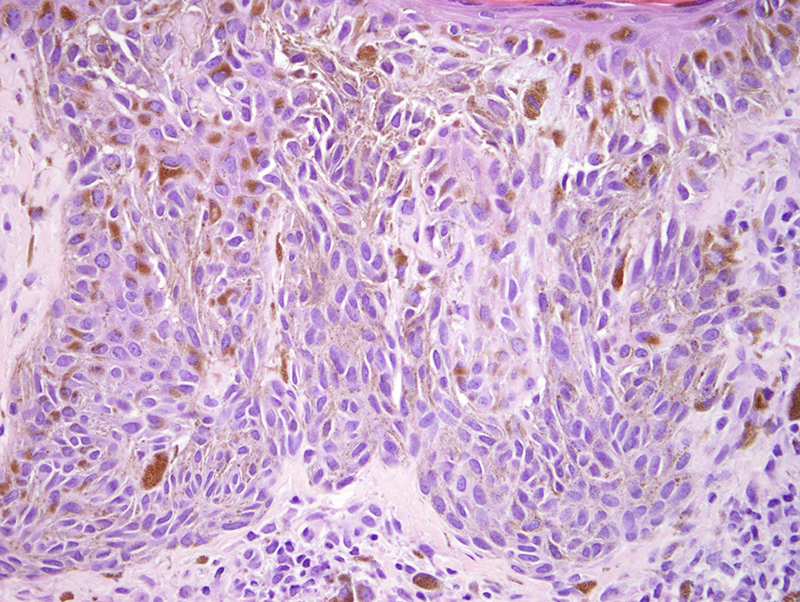 Pigmented spindle cell nevus is a benign melanocytic lesion that was initially described in 1975 by Reed et al. It is generally found on the trunk or lower extremities of young women. 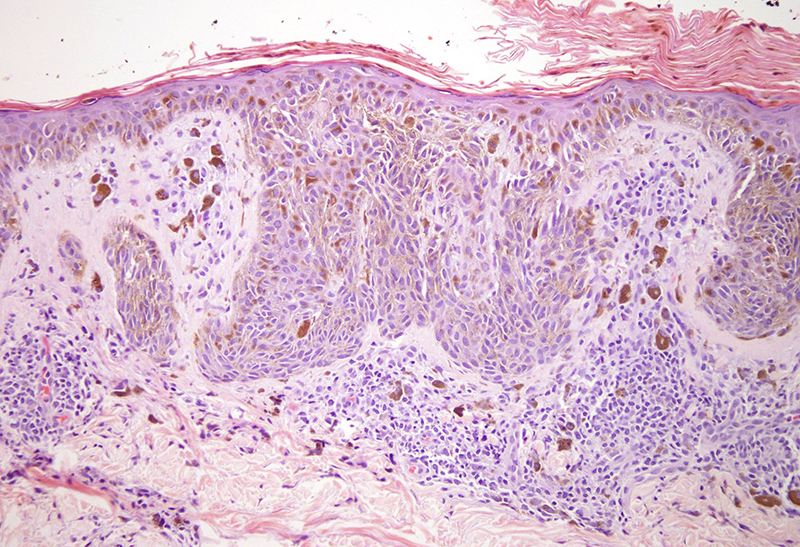 Most authors consider it to be a variant of Spitz nevus. 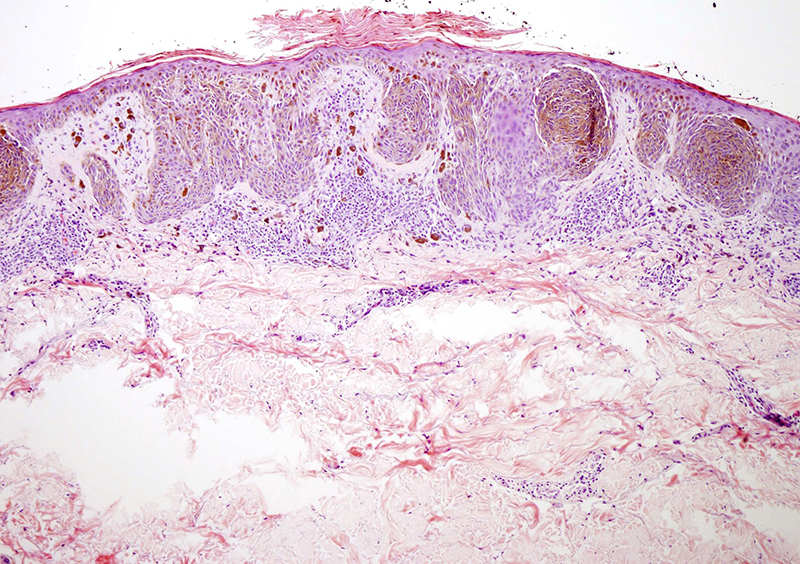 The main concern with these lesions remains their propensity to mimic melanoma both clinically and histologically. 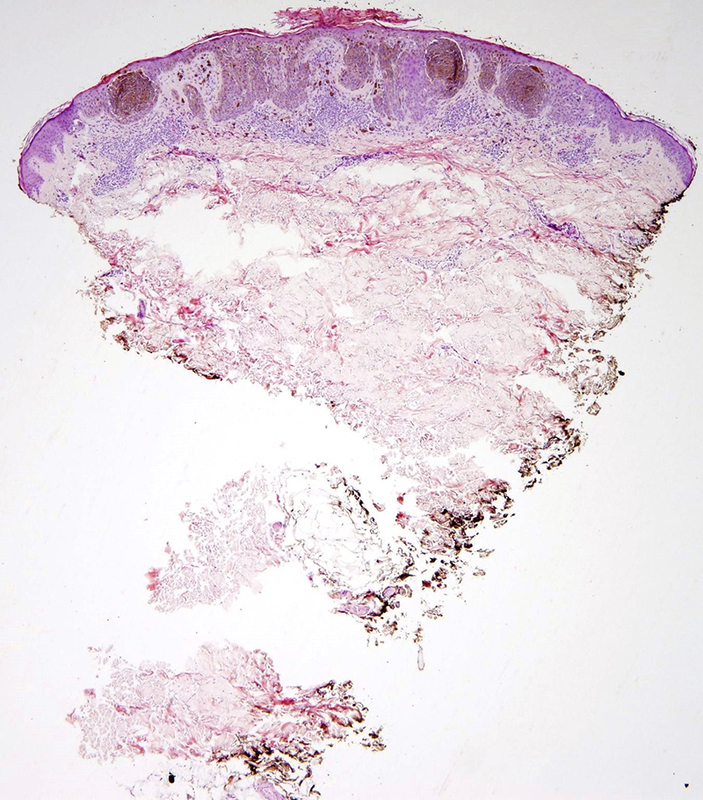 Pathological features that favor the diagnosis of Reed nevus over spitzoid melanoma include symmetrical architecture, maturation in the deep dermis, and absence or scant mitotic activity.